We are pleased to share with you the most recent report by the Lancet Commission on Global Mental Health and Sustainable Development. 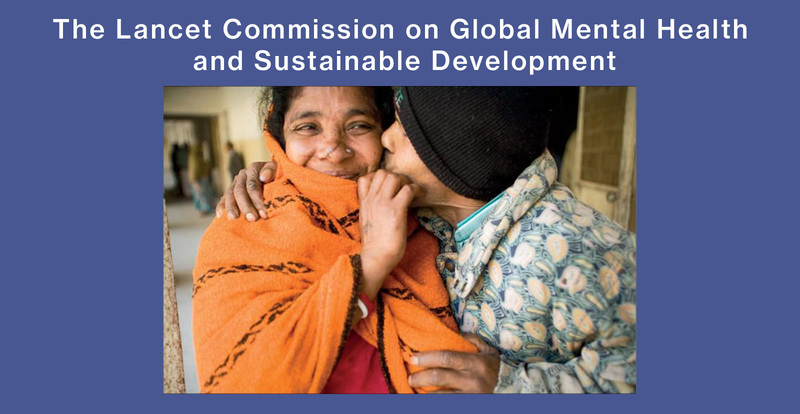 Launched at the first Global Ministerial Mental Health Summit, held in London to raise awareness about the significant impact of mental health on people’s lives and to improve mental health around the world, the report provides an assessment of global mental health in the context of the Sustainable Development Goals. In particular, it calls for, “a concerted and coordinated effort involving all stakeholders concerned with realizing the mental health aspirations of the SDGs.” It emphasizes the need to scale up services in order to detect, treat, and support people with mental disorders and sheds new light on mental health within the global health and development communities. Charlene Sunkel, Program Manager at Advocacy and Development, SA Federation for Mental Health echoed this sentiment. As a person with lived experience, she recounted being diagnosed with schizophrenia in the 1990s. Charlene explained that for her, the Commission meant “hope” and that it signified the change from being told she could no longer work or manage her finances in the 90s, to serving in her capacity on the Commission today. To learn more about the Lancet Commission on Global Mental Health and Sustainable Development, we share with you this short 3 minute video. Click here for the full report of the Lancet Commission.